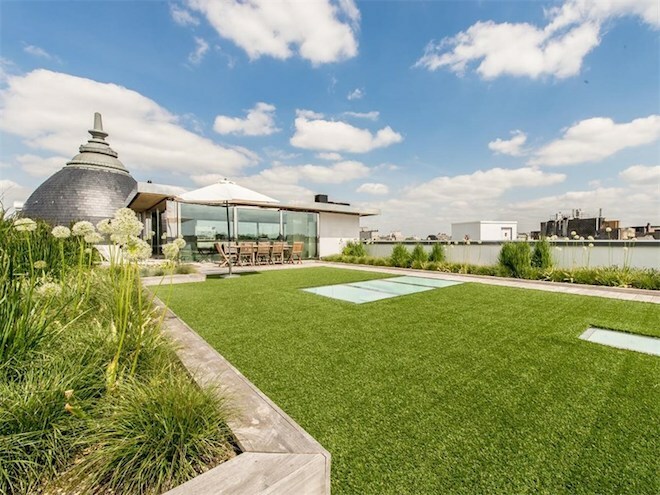 If you can’t tell already, the crown jewel of this penthouse in Brussels, Belgium, is the rooftop garden, which, at 5,166-square-foot, is almost as big as the apartment itself (6,243 square feet). 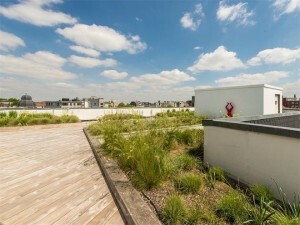 The rental property, renovated just last year, is located on the 6th and 7th floors of a Haussmann-style building right by the city’s Cinquantenaire public park—is there a more fabulous spot to make use of those 360-degree views? 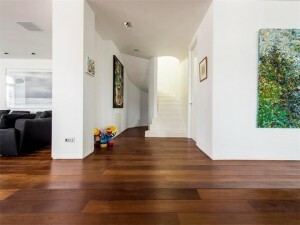 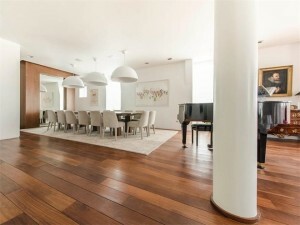 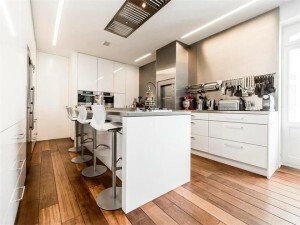 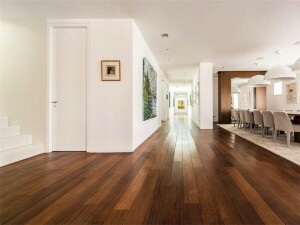 On the lower level, an entrance hall opens up to a large art gallery, reception room, kitchen, and four bedroom suites. 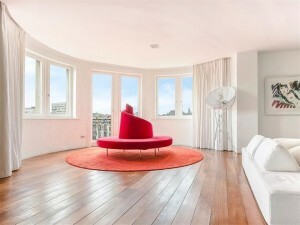 The glass cube at the top level—that is, the part overlooking the garden—includes another living room and a home theater.